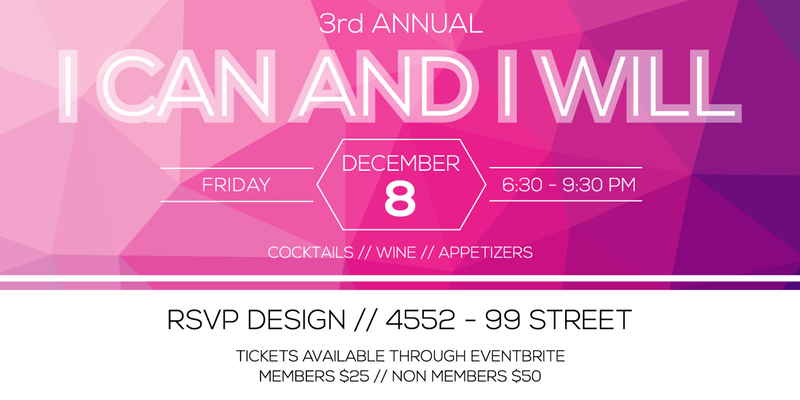 Join the women of WINE – WOMEN INSPIRED NETWORKS OF EMPOWERMENT – for their 3rd Annual I CAN AND I WILL celebration event on Friday, December 8 at RSVP Design in Edmonton! Put on your favourite cocktail dress and enjoy a glass of wine and some good food while you listen to three empowering guest speakers and honour those who bravely started their own business. This is an inspiring evening not to be missed, Impactful speakers, live testimonies, Signature Cocktail, WINE and a delicious selection of hot and cold Hors D’oeuvres, raffles and entertainment! Tickets just $50. A portion of tickets sold will go to WIN House to raise funds and awareness of women affected by domestic violence.